Filmmaker Bryan Smith is a serious adrenaline junkie, risking his personal safety time and time again to capture not only the perfect shot but the biggest rush. The next guest for the Nat Geo Live! 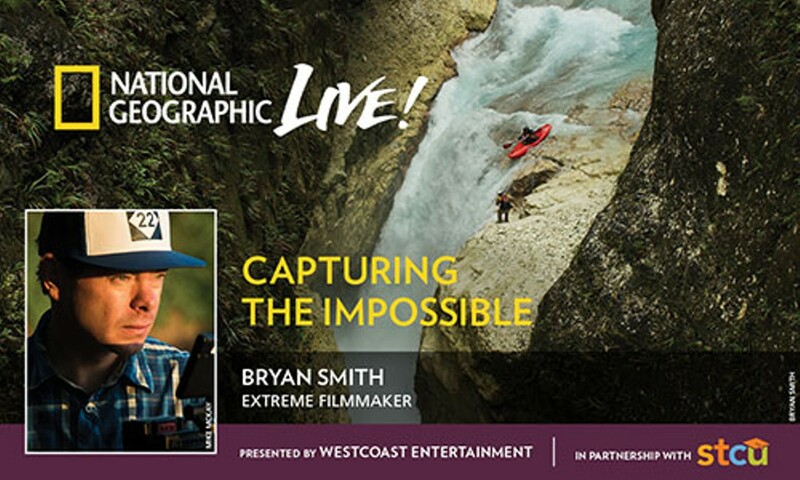 speaker series, Smith became hooked on the adventuring lifestyle right here in the Evergreen state, after graduating from Evergreen State College in Olympia. His path afterwards took him from kayaking around the San Juan Islands to some of the planet’s most remote, untouched environments. Along with some amazing footage captured during these treks, Smith breaks down his personal philosophy for his devil-may-care attitude about living on the edge and experiencing all that life on our fascinating planet has to offer.